Pitch is a primary perceptual dimension of sounds and is crucial in music and speech perception. When listening to melodies, most humans encode the relations between pitches into memory using an ability called relative pitch (RP). A small subpopulation, almost exclusively musicians, preferentially encode pitches using absolute pitch (AP): the ability to identify the pitch of a sound without an external reference. In this study, we recruited a large sample of musicians with AP (AP musicians) and without AP (RP musicians). The participants performed a pitch-processing task with a Listening and a Labeling condition during functional magnetic resonance imaging. 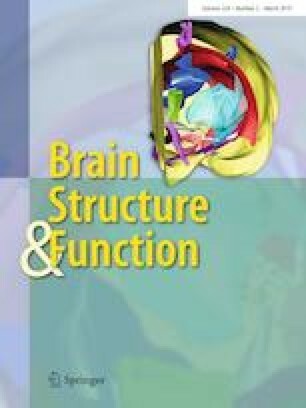 General linear model analysis revealed that while labeling tones, AP musicians showed lower blood oxygenation level-dependent (BOLD) signal in the inferior frontal gyrus and the presupplementary motor area—brain regions associated with working memory, language functions, and auditory imagery. At the same time, AP musicians labeled tones more accurately suggesting that AP might be an example of neural efficiency. In addition, using multivariate pattern analysis, we found that BOLD signal patterns in the inferior frontal gyrus and the presupplementary motor area differentiated between the groups. These clusters were similar, but not identical compared to the general linear model-based clusters. Therefore, information about AP and RP might be present on different spatial scales. While listening to tones, AP musicians showed increased BOLD signal in the right planum temporale which may reflect the matching of pitch information with internal templates and corroborates the importance of the planum temporale in AP processing. Taken together, AP and RP musicians show diverging frontal activations during Labeling and, more subtly, differences in right auditory activation during Listening. The results of this study do not support the previously reported importance of the dorsolateral prefrontal cortex in associating a pitch with its label. This work was supported by the Swiss National Science Foundation (SNSF), Grant no. 320030_163149 to LJ. We thank our research interns Anna Speckert, Chantal Oderbolz, Désirée Yamada, Fabian Demuth, Florence Bernays, Joëlle Albrecht, Kathrin Baur, Laura Keller, Marilena Wilding, Melek Haçan, Nicole Hedinger, Pascal Misala, Petra Meier, Sarah Appenzeller, Tenzin Dotschung, Valerie Hungerbühler, Vanessa Vallesi, and Vivienne Kunz for their invaluable help in data acquisition and research administration. Without their help, this research would not have been possible. Furthermore, we thank Anja Burkhard for her support within the larger absolute pitch project, Roger Luechinger and Jürgen Hänggi for their assistance in specifying the MRI sequences, Silvano Sele for helpful discussions regarding the searchlight analysis, and Carina Klein, Stefan Elmer, and all other members of the Auditory Research Group Zurich (ARGZ) for their valuable comments on the experimental procedure. This work was supported by the Swiss National Science Foundation (SNSF), Grant no. 320030_163149 to LJ.